Would you try another book written by Rick Jones or narrated by Russ Offenbach? Not by Russ O, no way! Would you recommend Vatican Knights to your friends? Why or why not? Would you be willing to try another one of Russ Offenbach’s performances? No. Not in this millennium. Early Hollywood narrator style. Hollywood Heroic. Every word separate, slowly and clearly enunciated, and flat toned, with pseudo majesty, and the intonation and expression strained to breaking point. Cant find the words to tell you how awful this narrator really is. 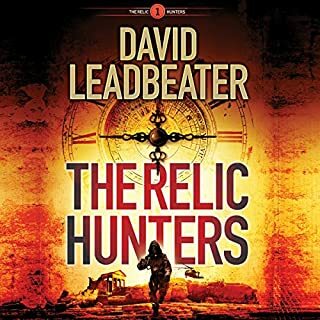 A reasonably exciting adventure tale with a fascinatng premise of a Vatican SAS, but it really doesnt manage to pull off especiallty in audio. Going to try just reading it next time round, and maybe it will come to life. Please do not, ever, ever again, ever use this type of narrator for entire books again in the UK. He may be OK to introduce Dragnet or Flash in overly dramatic tones, but he is narrating this, an entire novel, in the same tones in all seriousness. I demand a British version for those of us raised on Dench, Smith, Branagh, Kitchen, and the rest of the host of professional British artists because listening to this version is pure unmitigated torture and agony. 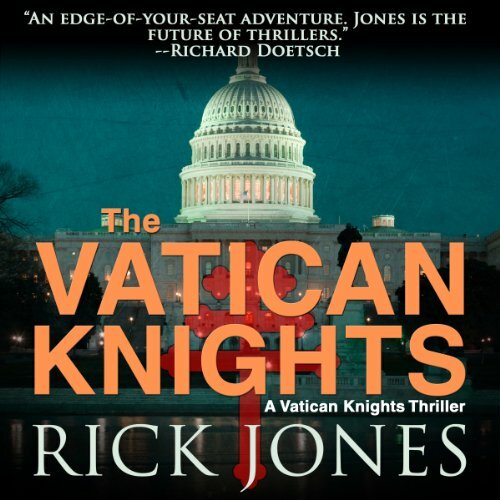 "Vatican Knights" is a very exciting thriller which will grip the reader almost immediately. 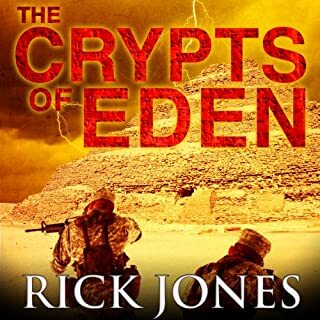 Rick Jones presents an all to real scenario that would draw the world into a winner-take-all religious war. In it, he introduces the elite special forces team of the world's smallest country - the Vatican. The Pope, on a visit to the United States, is kidnapped from the mansion of the Governor of Maryland in Annapolis. The entire protection detail is killed, and two bodies from a terrorist group, The Soldiers of Islam, are discovered. The world is in an uproar and the seeds are sowed for a brutal religious war. Sheri Cohen, a Jew and granddaughter of an Auschwitz survivor, is thought to be the best negotiator in the service of the FBI and is placed in charge by the President. Failure is not an option, but with few clues to work with, agent Cohen has little room to maneuver. She wonders why the commandos did so much to hide their identity, yet left two bodies behind when they had the time to remove them. Sheri is working against the clock as demands have been issued by the terrorists and hostages would soon begin to be executed. Meanwhile, Kimball Hayden is the leader of the special forces unit known as the Vatican Knights. Their existence is top secret, and the mission he is given is straight-forward: bring back the Pope, alive, at all costs. Again, failure is not an option. Kimball must insert himself into the investigation and get Shari to trust him enough to gain the opportunity to complete his mission. But all is not as it appears. There are powerful people who want the rescue to fail, and they will stop at nothing to accomplish their mission. The main antagonist is someone known as Team Leader. We get a little back-story on him: he was only nine when his family was killed in a suicide bombing in Ramallah, so we glean some of the motivation for his actions. He is ruthless and cruel, and I liked him less with every turn of the page. His obsessions rule his life and his actions, and there is little change as the story continues. He, too, is more than he seems and his true identity is somewhat surprising. The protagonists are Shari Cohen and Kindall Hayden, and the story is well under way before we are introduced to them. Kimball is not mentioned until chapter 11, and he is an imperfect hero. Having worked as the very best assassin a secret US government organization ever employed, Kimball disappeared on his last mission and was thought to be dead. However, he simply had an attack of conscience and migrated to the Vatican to atone for his sins. He thought his unique skills may be put to good use for the Pope in an effort to even the balance sheet for his soul. Shari, although mentioned in the prologue, is not brought into the main story until chapter thirteen. She as well is a flawed character, having marital problems that she is unwilling to address. But, like Kimball, she is honest and committed, and these qualities make it easy to like them both. The feelings they develop for each other threaten to undermine their endeavors, and brings out the human side in them. I could not help myself from rooting for their success despite their shortcomings. I thought the pacing of the book was excellent, starting with a major event and then slowing down as the sides evaluated their options. It slowly builds to an exciting climax, mixing in betrayals and plot twists that help keep the pages turning. The only negative I could find is that Kimball Hayden may have been TOO good. It seems that most of the action protagonists I read about are "the best" at what they do. Kimball is no different in this respect and I will admit to liking the vulnerable side of him shown by Rick Jones. 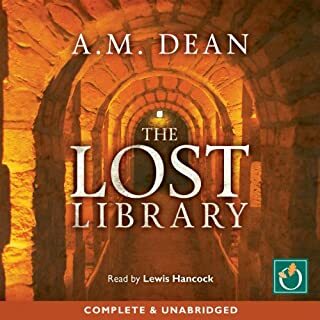 The narration was excellent, as is the case with most audible titles I have listened to. Russ Offenbach uses distinct voices for the different characters, making it easy to follow the action. His narration added to my enjoyment of the story. Another thing I liked was that the descriptions of the killings were fairly mild - not over the top blood and gore. There are bound to be killings in this type of novel, but they were handled very delicately so people averse to graphic details will not be offended. Also, the language was pretty mild for a novel of this genre. I heartily recommend this book to anyone who enjoys action and suspense, and especially for those who don't appreciate the seedier details. Would you try another book from Rick Jones and/or Russ Offenbach? 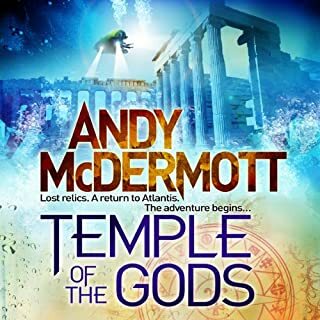 The author seemed to go from one over "adverbed" and "adjectived" description to the next, dialogue was very stilted and description of fight scenes were no where close to believable. This type of thriller often stretches the imagination but this one went too far. The narrator fit the text but this will be the last Rick Jones for me for some time. John Sanford's newest Virgil Flowers mystery. What three words best describe Russ Offenbach’s performance? Did Vatican Knights inspire you to do anything? The story was ok. It was hard to stay with it due to the reader. I will never get an audio book from this reader. I have heard better reading from an NPR Financial report. I would rather listen to the automated message on the phone from my bank than to hear his monotone voice again. I paid for it so I listened to it, but it was painful to continue to hear that reading. Would have liked it better from a computer program. What did you like best about Vatican Knights? What did you like least? I like idea of the plot. White House & Vatican in the same book could be very interesting. And it was OK. The writing seemed over dramatic to me. Much of additions did not enhance the plot. Sheri Cohen. I love a strong smart woman in a book. What aspect of Russ Offenbach’s performance would you have changed? His voice was too 'TV news' like for my taste. It lacked the genuine feel. 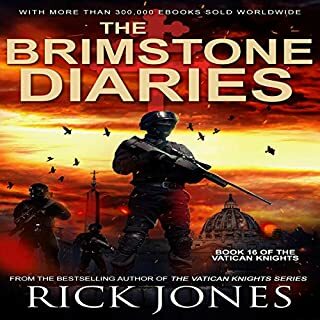 Do you think Vatican Knights needs a follow-up book? Why or why not? So, according to this book, its really easy to kidnap the Pope. That premise was hard for me to accept...then add in the sappy tale about the protagonist's childhood and rocky marriage and I was over this book. 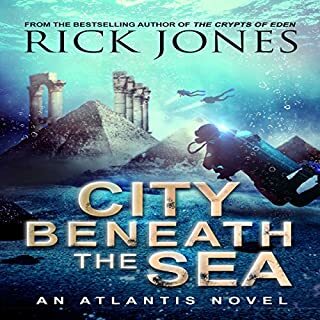 I enjoyed listening to this story, it has interesting and well written characters, action packed, intriguing and enough twists to keep you guessing. I was impressed with the narration, Russ Offenbach does a wonderful job. A deaf person might enjoy listening to it. Has Vatican Knights turned you off from other books in this genre? You REALLY should listen to the books you put up for people to buy.